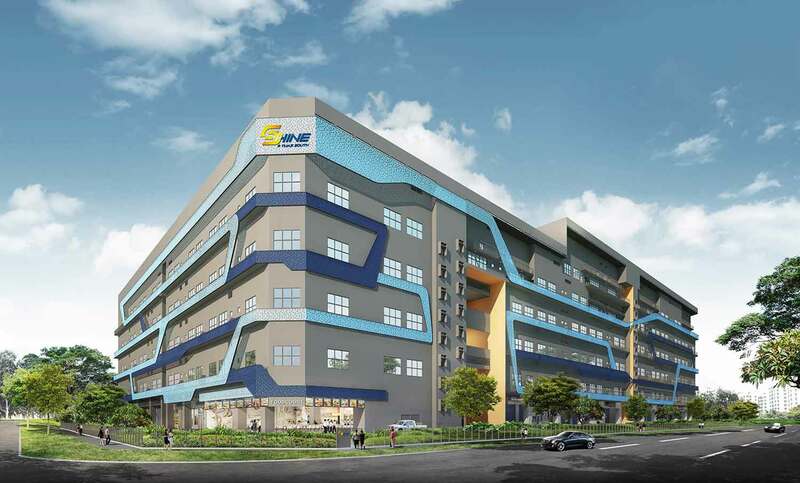 Shine At Tuas South is a 6-storey ramp-up B2 Industrial Development at 11 Tuas South Link 1 by Beacon Properties Pte Ltd. The 30 years leasehold project has a total of 174 B2 industrial units + 1 temporary industrial canteen and 4 temporary shops (minimarts). With 30 years leasehold, 10 years more than other developments in the vicinity, Shine@Tuas South optimises your investments and business plans for greater returns. In addition, its attractively priced units ensure that your business is secured for a bright future. and ample loading/unloading facilities for 40 footers enhance efficiency of your business operations. Enjoy ease of operations with efficient and flexible unit layouts, high structural floor loading and the possibility of overhead crane installation for large units. Certain level 5 and 6 units have a floor-to-roof height of 8.8m and more than 1000m2 of space. Your visitors will also be pleased with the ample parking and direct vehicular access to every unit. 1 canteen and 4 shops prominently located along the main road create a vibrant business environment while providing much needed conveniences. Your operations will benefit from the development’s close proximity to a number of workers’ dormitories and recreational facilities on the fringes of the new port. Shine@Tuas South’s proximity to Tuas 2nd Link also allows for easy access to manpower and resources from Malaysia, creating further competitive advantages for your business. 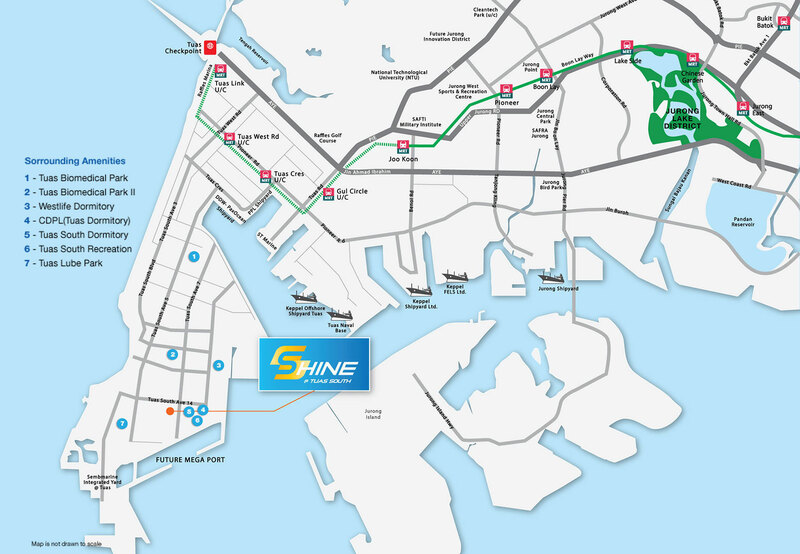 Strategically located near the future Tuas Mega Port, Shine@Tuas South leverages on great accessibility and connectivity with the existing AYE/PIE, Tuas West Extension (ready by end 2016), Jurong Region Line as well as Joo Koon Integrated Transport Hub! The development is also minutes’ drive away from the upcoming Jurong Innovation District and is conveniently linked to Malaysia via the Tuas 2nd link and the future SG-KL High Speed Rail. With Shine@Tuas South, you are well-positioned to capitalise on potential capital appreciation and create better synergies for your business! For more information on Shine At Tuas South, simply fill up your details below and our salesperson will get in touch with you shortly!